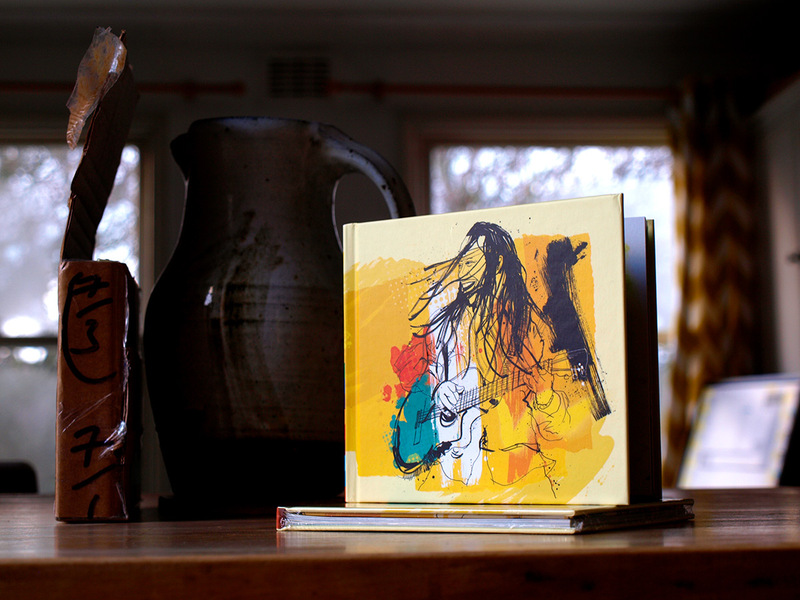 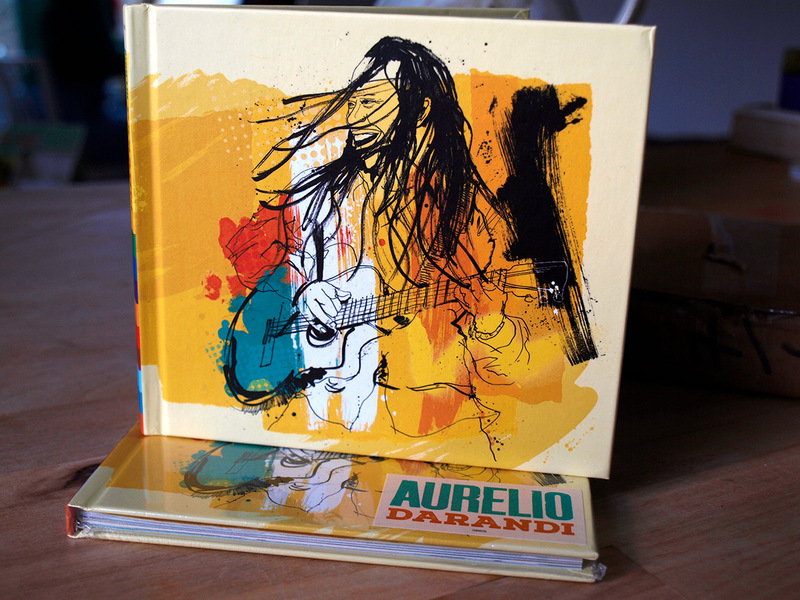 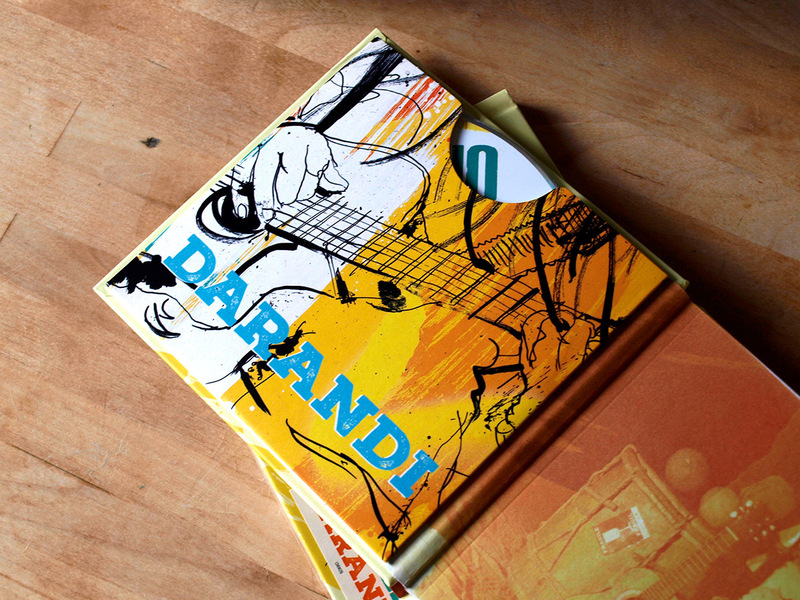 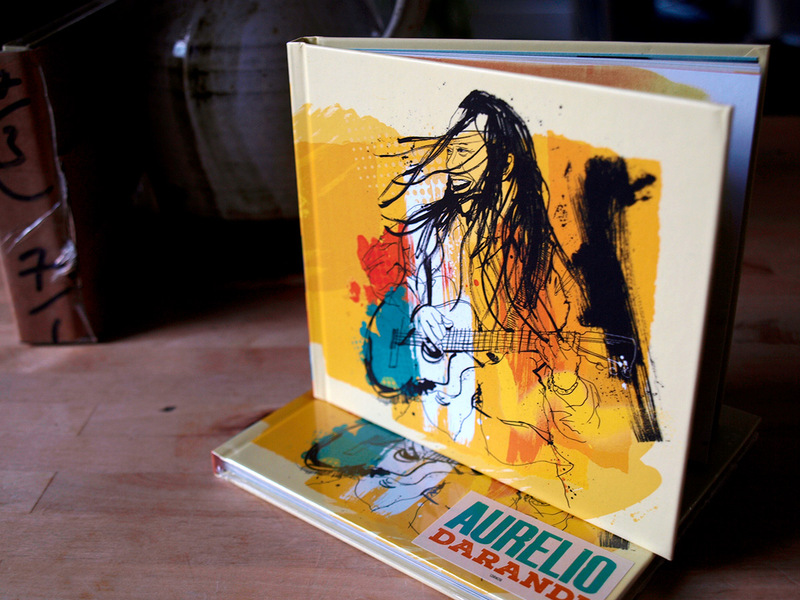 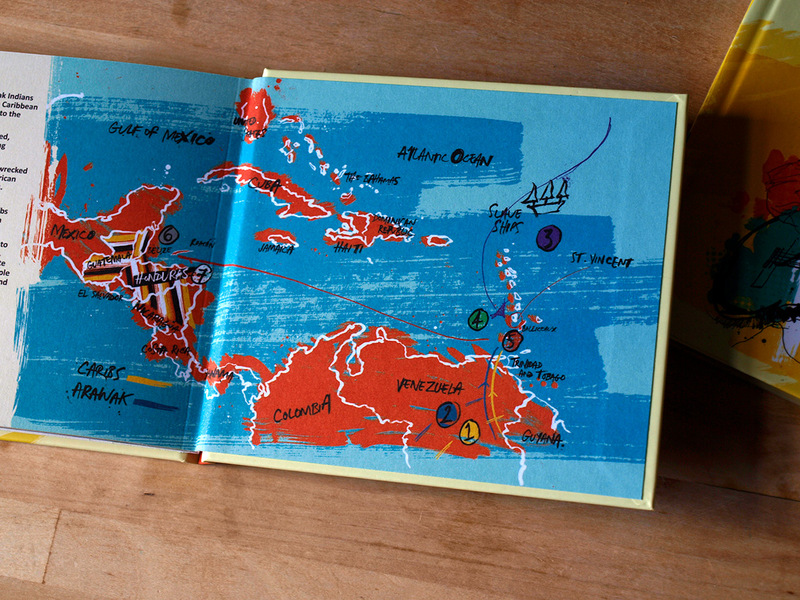 Illustration and map design for Honduran musician, Aurelio Martinez 30th anniversary album 'Darandi.' 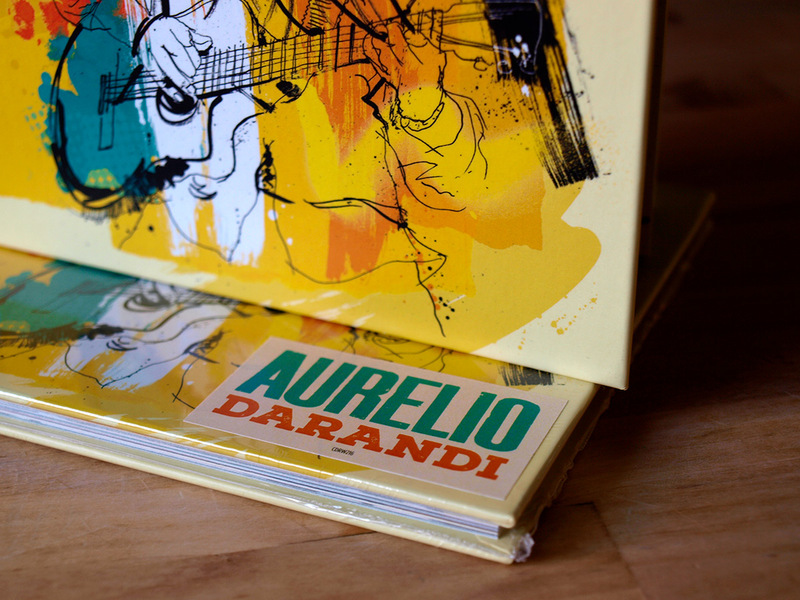 Real World Records approached me for this brief, feeling the art-direction needed to reflect Aurelio's upbeat and energetic style of music and live performance. 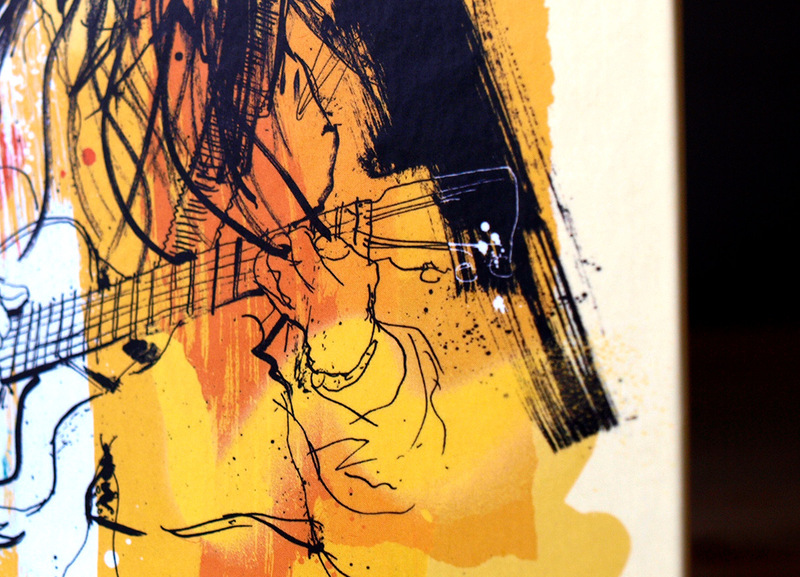 We decided upon a simple portrait illustration, created with indian ink, pen, brush, spray paint and acrylic paint. 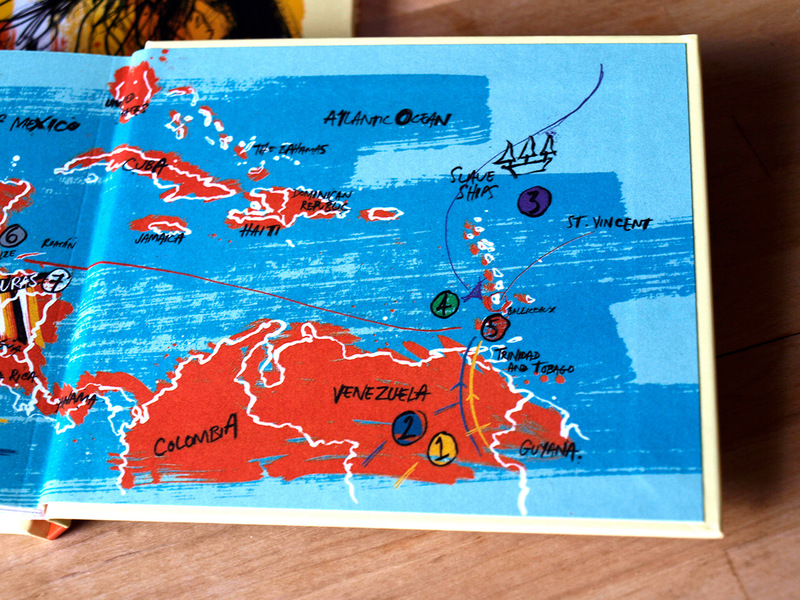 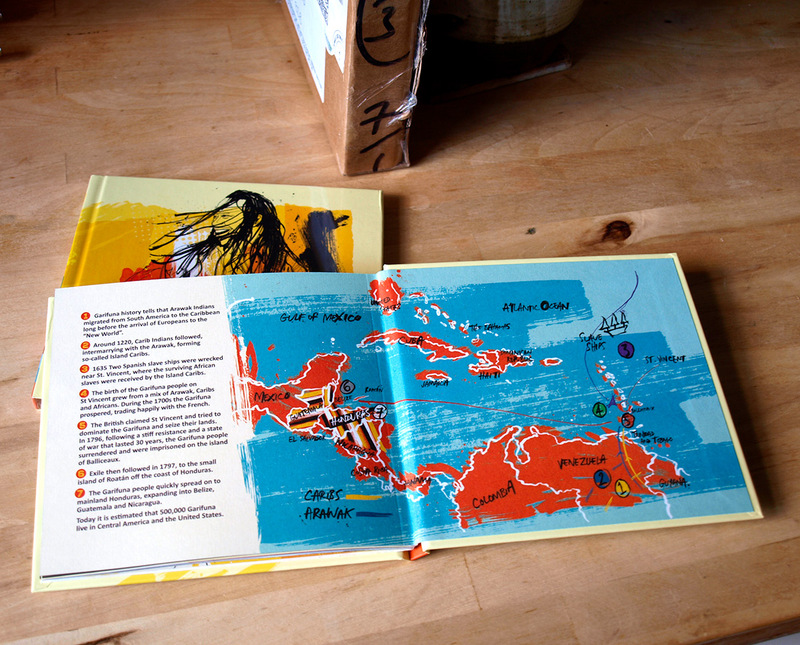 The internal map tells the story of the Garifuna people's journey over time.